When you drive through Market Common, the first thing you will notice are all the homes directly across from the retail complex. 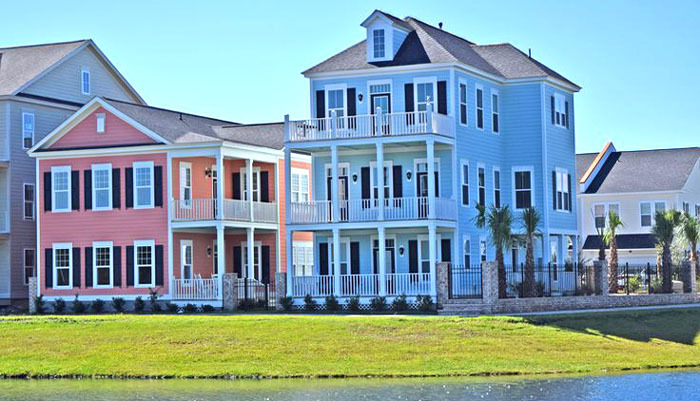 These brightly colored new homes by Dock Street are eye-catching and sure to please, alongside a beautiful lake. The Lowcountry "Charleston" style homes offer porches to sip your sweet tea and watch the people go by, as well as windows all around and elegantly landscaped streets. 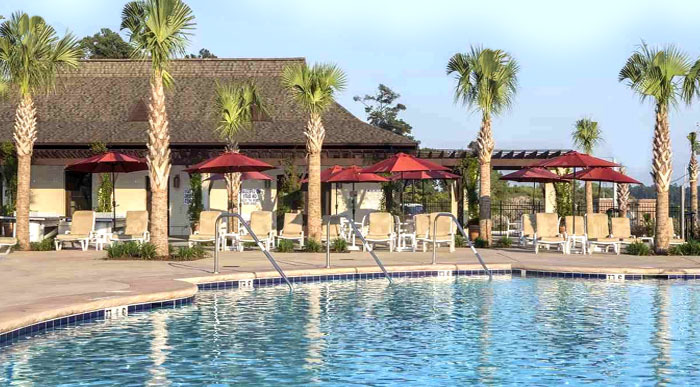 Spend the hot days lounging by the community pool. Step out the door and you are in the most beautiful section of the Common, where joggers jog and walkers amble or sit and enjoy that gorgeous lake. The builders offer three and four bedroom homes in 9 floorplans ranging from 1658 to 2021 square feet. The included options are endless, with fiber cement siding, thermal insulated windows, 9 and 10 ft ceiling, and a private 2-car garage. Other included upgrades are granite countertops, marble bath countertops, shower, and tub decks, hardwood flooring, and GE Slate oven, microwave, and dishwasher. Of course, you'll enjoy energy-efficient gas heat and air, and much, much more. Optional amenities include fireplaces, custom closets, private pool, upgraded cabinets, and washer dryer. HOA fees are low, and include cable tv and high-speed internet for ultimate monthly savings. In 2016, another section opened just to the west of it all, Sweetgrass West. This brand new neighborhood will allow you to pick the prime lot and choose your floorplan. Prices range from just under $300,000 to around $475,000 depending on size and location of the lot. 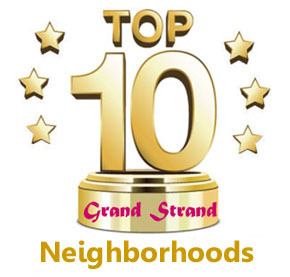 If you love the bright colors of Charleston and want the best neighborhood in Myrtle Beach, you must check the new homes at Sweetgrass Square and Sweetgrass West at Market Common. Call us today for more information!